Please note that some seats are reserved for our patrons requiring wheelchair or other disability seating. If you are in need of this seating, please visit or call our Box Office at (541) 465.1506, and we will be happy to assist you! 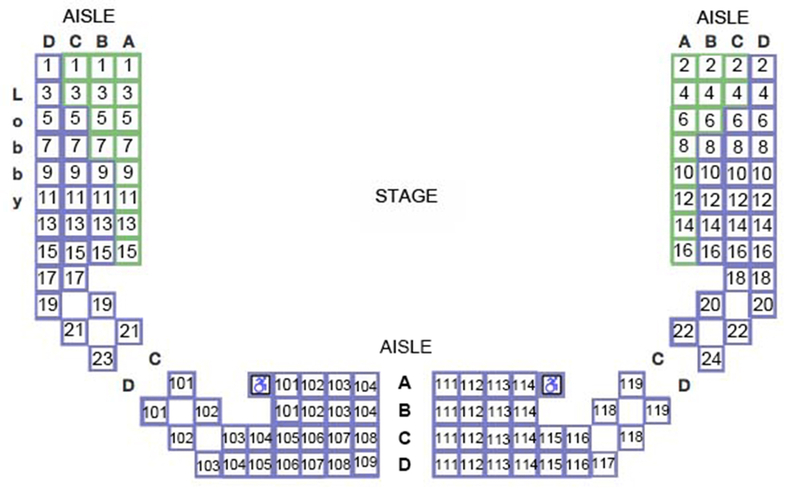 Click here for a larger view of the seating chart.